If you want to know what you can and can't do with guns in Virginia, this is the book to own. 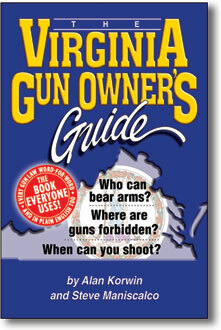 Since 1995 we have been publishing the guide Virginians use for all the details on the state's gun laws. The new 8th edition is now available for immediate delivery. The authors take the mystery out of the Virginia carry-permit law, the NICS background check, the self-defense laws, buying, keeping and using guns, and they turn the legal mumbo jumbo into clear familiar English. Find out the who, what, when, where, why and how of firearms purchase, ownership, carry and use in Virginia. 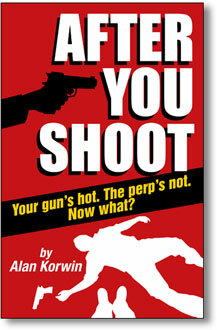 AFTER YOU SHOOT: Your gun's hot, The perp's not, Now what? ==> Don't end up in more trouble than the crook. GOT A GUN? GET THE RULES! Partial list of contents: Word-for-word copy of every Virginia gun lawnot just the criminal code  Complete concealed-carry law  The deadly force and self-defense laws  Virginia weapons laws  Who can bear arms and who cant, including rules for youngsters and gun-free school zones  Details on Virginias extensive local ordinances  The federal firearms transportation guarantee, Brady Law, Crime Bill and the other federal laws affecting private gun ownership  Whos exempt from gun laws  Firearm requirements for hunters  Buying and selling firearms in or out of Virginia, including Class III and NFA weapons  Judgmental shooting  Gun safety  Keeping kids safe  Crime and punishment chart  Key legal concepts illustrated  Statewide contacts list  Much more! minimum order is only 1 dozen!